There are many streaming related questions being asked right now, here are the top 5 and also how the current Ericsson product portfolio is helping address these common industry concerns. 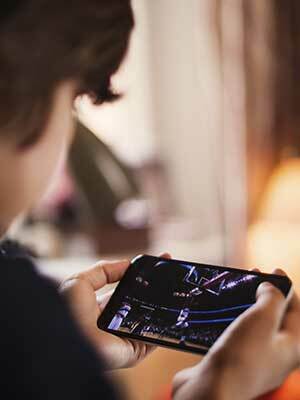 Live to VoD - viewer expectation related to on-demand viewing of live programming means that broadcasters need to publish live content as VoD assets, minutes rather than hours after linear broadcast. We have evolved our own portfolio to offer extensive support for this use case. UHD - we see increased interest in UHD and what it takes to stream this high quality, high bitrate content to connected devices. UHD comes in various guises and acronyms, with options such as 4K resolution, HDR, HFR, WCG and immersive audio all to be considered. How this content is compressed, packaged and published pushes the capabilities of today's streaming services. We have built up considerable experience with UHD from both a product and services perspective, and offer wide UHD support in our portfolio. Latency and Performance - one common theme for OTT streaming that has existed since the earliest days and still sits in the most frequently asked category is how to ensure content reaches viewers quickly (which is particularly important for live sports) and reliably - at scale. As mobile viewing increases, this presents particular challenges to ensure that content is cached close to the consumer, whether they are on a mobile network, home WiFi or a public hotspot. We have launched a service called Unified Delivery Network (UDN) that addresses these challenges in partnership with network providers across the world. Dynamic Ad Insertion - one of the strengths of online streaming over traditional broadcasting is that advertising can be targeted at an individual rather than a broad demographic or geography. This requires a range of technologies and services that can operate in concert, and in real-time, to replace linear ads with more targeted alternatives. We have developed sophisticated solutions for this purpose and manage such services for many customers today. VR and 360 Video - the new entrant in this year's list is how emerging formats such as Virtual Reality and 360 video can be streamed. This is an area of R&D for us and the challenges are considerable. Good quality VR requires high-resolution video, but full HD video looks relatively poor when viewed millimetres from your retina, so 4K, per eye, becomes a realistic expectation. The 360 nature of the material also requires very low latency streaming so that when the viewer's field of view changes, the appropriate stream can be presented. The use of 5G as a transport network may prove to be particularly suited to these requirements.